The 80/20 rule continues to be a source of concern for many VAs and sole traders. Following podcast #9 I had a Q&A session with Ken Phillips of Independent Contractors Australia to help clarify further what the current rules are as they apply to solopreneurs. 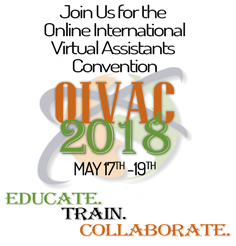 Don’t forget to catch Ken’s presentation at OIVAC on Friday May 20 8.45am Australian Eastern Time when he’ll be talking about Contractors versus Employees. If you miss the presentation you can still register and you’ll be provided with a copy of the recording.